Oil is plentiful and demand for gasoline continues to decline as American drivers move to more efficient cars and trucks. So why haven't gas prices come down? Pump price watchers say this year's seasonal run-up has likely run its course — for now. The national average price is at or near its peak for this spring, according to AAA, which expects prices to remain cheaper than last year's national high of $3.79 per gallon. But as refiners continue to see strong demand for gasoline exports, don't look for big savings on the cost of filling up your tank any time soon. Since the 2008 financial collapse sent gas prices tumbling, the cost of fuel has bounced back and settled into a range of between $3.25 and $4 a gallon in most of the country. 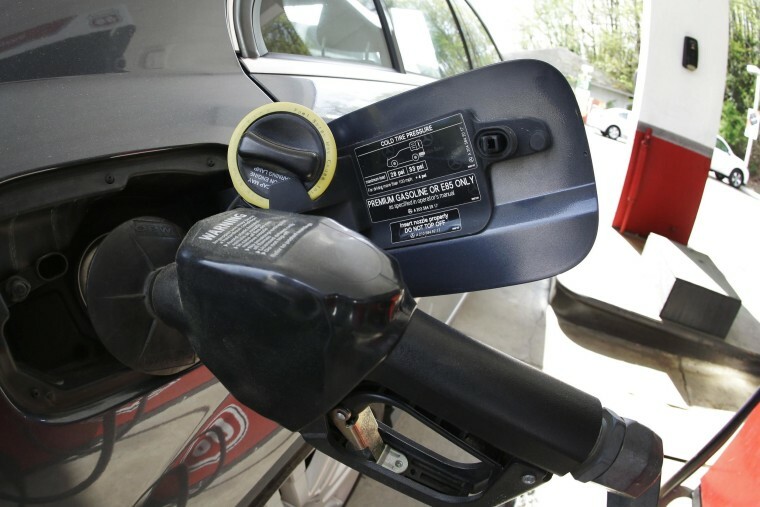 Prices typically rise this time of year as refiners draw down winter supplies and begin building inventories of the blends of reformulated gas required in 17 states and the District of Columbia. In the past, any bottlenecks in production of those reformulated summer supplies — which account for about 30 percent of gas sold in summer months — could send prices spiking. So far this year, the transition has gone relatively smoothly, which means prices should soon begin falling again. "You'll be paying less on the first day of summer than you are this weekend," Tom Kloza, chief analyst at GasBuddy.com, told CNBC. "And maybe less by Memorial Day." Kloza is also expecting an easing of recent upward financial price pressure from investors who have been betting on higher prices. As supplies build, those bets should unwind, he said. Falling ethanol prices should also help. Ethanol accounts for about 10 percent of the total volume of blended gasoline. Kloza figures the temporary spike in cost of ethanol — which has since eased — added between 5 cents and 12 cents a gallon prices to the price at the pump. And crude oil remains relatively cheap and plentiful, especially for Gulf coast refiners. Last month, inventories hit a record 207 million barrels, according to the Energy Information Administration. The glut resulted from continued increases in U.S. crude production, which is now flowing in greater volume to the Gulf through the southern portion of the Keystone pipeline, which opened earlier this year. Refiners also have been using less crude as they've slowed production to run through their annual maintenance drills. Those refiners are also seeing U.S. demand for gasoline continue a gradual decline, after peaking in 2007. While gasoline consumption continues to rise during summer driving season and fall during the winter, several forces continue to drive the long-term trend to falling demand for gasoline, according to Kloza. "You don't have the millennials and young people driving anymore," he said. "You've got an aging demographic that's driving less. And the average car is 11.4 years old. When you turn that over, you get a lot better mileage." That drop in demand might be expected to bring lower prices. But to make up the shortfall, refiners have found robust demand in Mexico and Latin America, where refining capacity hasn't kept up with growing consumption. Though the U.S. bans exports of crude oil, gasoline and diesel exports are about 25 percent higher than last year, according to the EIA. Those exports are expected to keep gasoline inventories relatively tight, which would keep prices from falling below roughly $3.25 a gallon, the low point for the past few years. Tight inventories could also increase the risk of a price hike later this year, according to Kloza. "In the third quarter you might see a surprise spike tied to hurricanes," he said. "So if you get some damage or some shutdowns in the Gulf of Mexico that could have really interesting consequences."